Welcome to eZee Insider, keeping you up to date with what's happening in eZee. 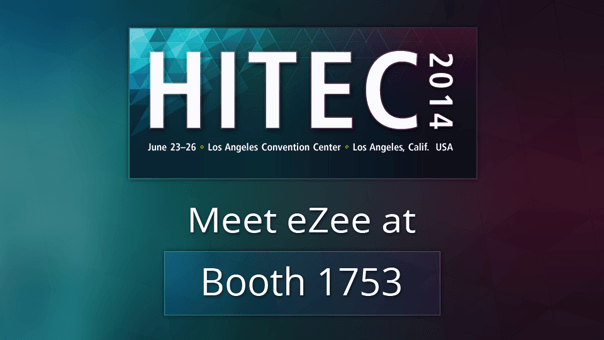 In this edition, learn how you can get in touch with eZee at this year's HITEC 2014 taking place in Los Angeles, USA. Explore eZee's brand new website and read what our blog has to offer. 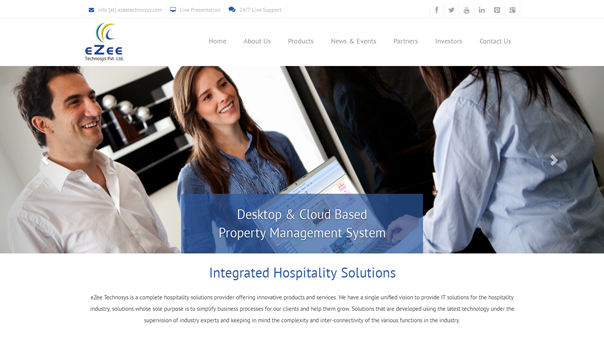 Hospitality Industry Technology Exposition and Conference 2014 (HITEC), a service of Hospitality Financial and Technology Professionals (HFTP), is the world's largest hospitality technology exposition and conference. The expo showcases the latest products and solutions for the industry from over 300 companies from around the world. The 3 day technology conference will take place from June 23rd to June 26th this year at Los Angeles Convention Center in Los Angeles, California, United States. 2014 Exhibits Schedule - We will be available for meet and greet during exhibition hours from 23 to 26 June. You will find us at booth 1753. Visit HITEC show map for a more detailed view of our location. As you might have noticed, our website has changed over last few weeks. We welcome you explore the new website, which represents an entirely updated look for eZee's online presence. The goals with the new website were to make it faster, user-friendly for navigation, and easier for us to manage/update. eZee's website was created with Responsive Web Design (RWD), in simple terms responsive design means the website pages will reformate themselves automatically depending on the user's device which it is being displayed on. This makes the website more user-friendly more than ever for desktops, tablets and smart phones. With our new website, we are also excited to introduce our blog where we aim to achieve a space where we would be able to share our ideas, experiences, knowledge and thoughts on the hospitality industry from different perspectives. The posts would not be limited to technology trends; it could be a travel experience of one our support executives, a story passed on from one of our partners or perhaps latest technological advancement in our product offerings. In the coming days we will be posting more posts as diverse as possible and we very much want everyone to get involved. You are welcome to post your comments and we are also open to ideas or topics which you want us to cover in the future. From blog itself you will be able to share the posts to various social media channels of your choice. Capital City Tours and Travels chooses eZee as their complete IT Solutions provider for two of their Hotels, Hotel Delhi City Centre and Hotel Ajanta, both located in New Delhi, Capital of India. The two hotels has implemented eZee FrontDesk, eZee BurrP!, eZee Reservation and eZee Centrix, covering every aspect of their operations. Hotel Delhi City Centre is located at the heart of the Capital with close proximity to the rail service, airport and historical buildings, giving guests a convenient place to stay. Hotel Ajanta started its operations in 1972 making it one of the oldest hotels in the Capital. The Hotel is conveniently located near the railway station, airport and the city centre, Connaught Place. eZee's Online Booking Engine will naturally fit into their website and provide travelers to book their stay directly with the hotel. eZee Centrix, the channel manager will allow them to distribute their inventory across various travel websites with easy management. eZee products will provide both the hotels with solid foundation with seamless integration between all the products and achieve higher efficiency in their daily operations. eZee's regional office in New Delhi provided the necessary pre and post sale support and implementation. eZee looks forward in building a long-term relationship with Capital City Tours and Travels. BuBu Resort is strategically located on the quiet corner of Long Beach, Perhntian Island Kecil in Malaysia. It is one and only deluxe resort on the island. The resort has adapted eZee FrontDesk as their hotel management software, eZee BurrP! for managing their restaurant and also implemented eZee Reservation and eZee Centrix as their Online Booking Engine and Channel Manager respectively. The Resort is famous for its unique location and provides guests with a unique experience with its architecture and modern facilities. eZee Support team from Malaysia provided with onsite implementation and training. The team provided guidance in using various modules with eZee FrontDesk and eZee BurrP!. In addition, the team also implemented Internet Booking Engine on their website allowing their guests to book directly with the resort. Channel Manager solidified resort's online presence by connecting the resort to various travel sites. 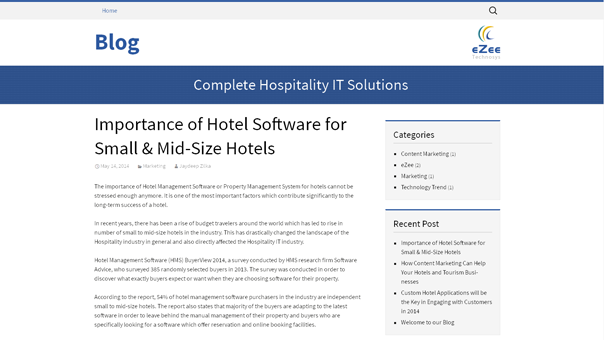 The complete solutions provide the resort with a complete software ecosystem for the hotel and providing staff with tools they require to efficiently run their operations. eZee looks forward in building a long-term relationship with BuBu Resort and providing 24X7 Support.